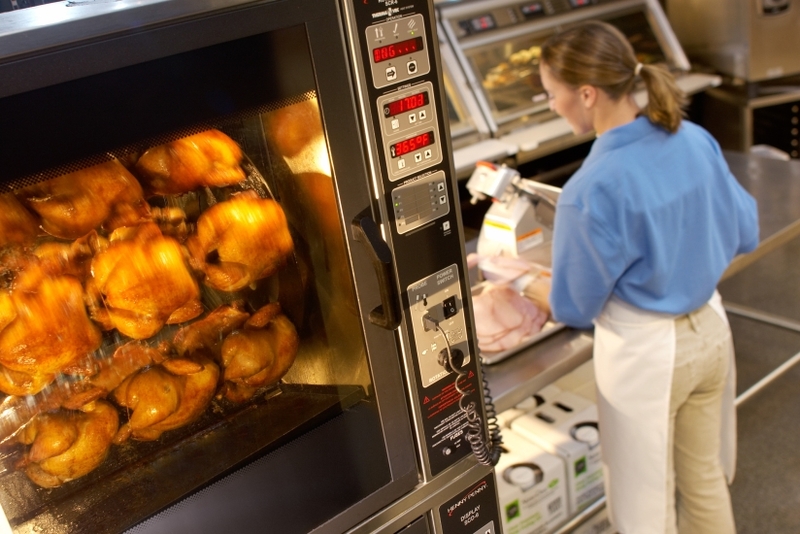 See how Henny Penny rotisseries cook so much more than chicken!See how Henny Penny rotisseries cook so much more than chicken! 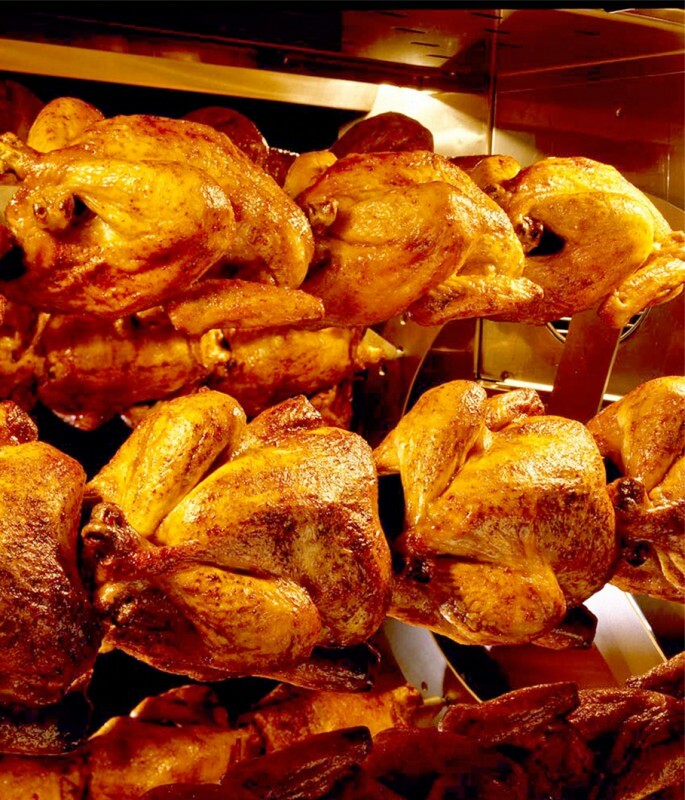 Everyone loves the sights, smells and sounds of rotisserie cooking. 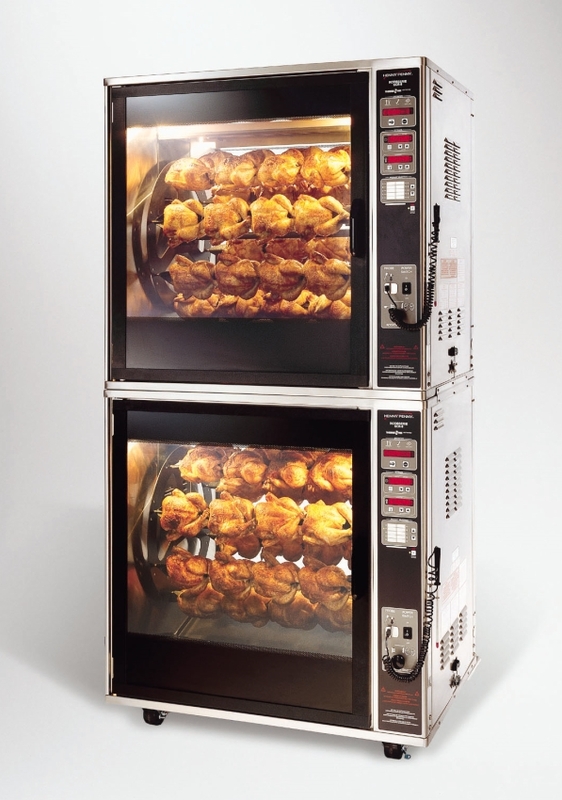 But Henny Penny rotisseries do something no other rotisserie can do: turn out that slow-roasted, self-basting rotisserie quality faster. 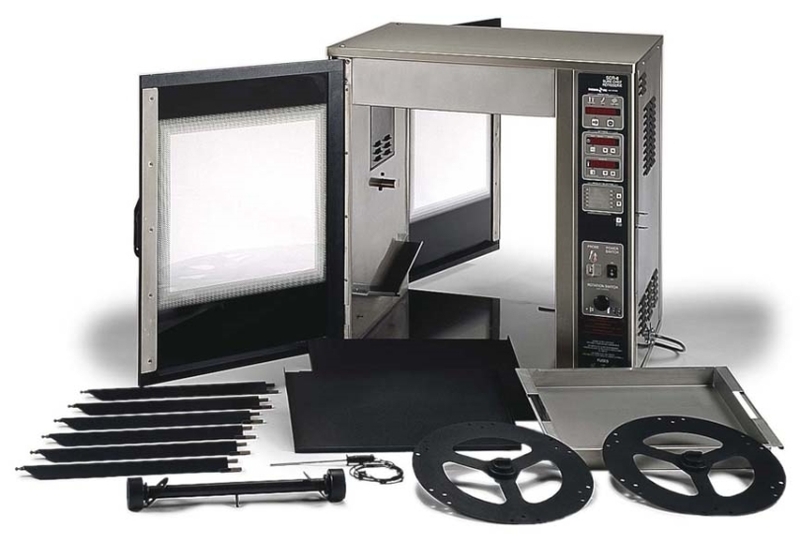 A patented process called THERMA-VEC adds gentle cross-flow convection to radiant heat for thorough, even cooking throughout the machine in less time than other rotisseries. 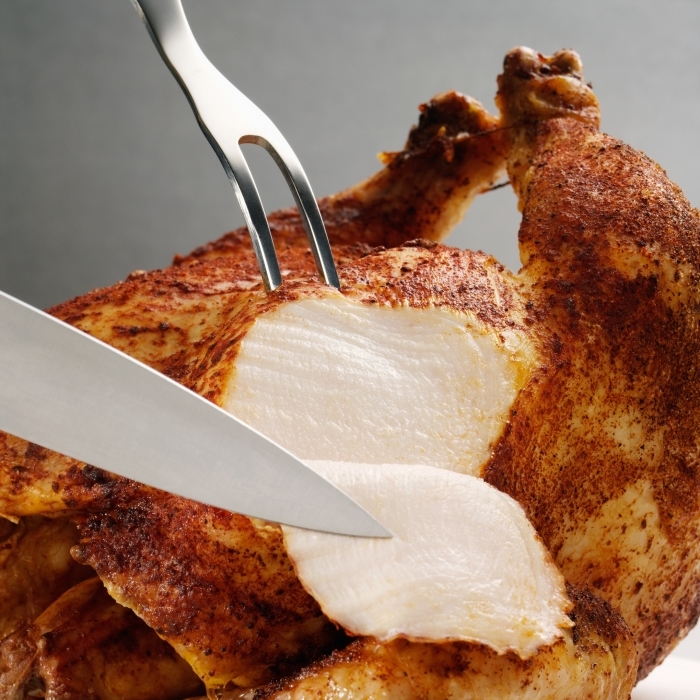 Henny Penny rotisseries also let you add different levels of browning and texture to cooking programs. 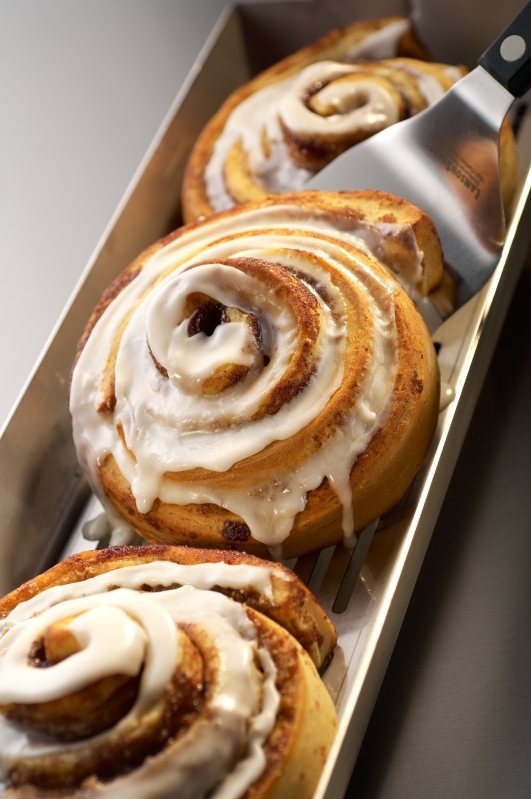 It’s the control you need to create the perfect rotisserie chicken, ribs, roast, fish and casseroles—even pastries! 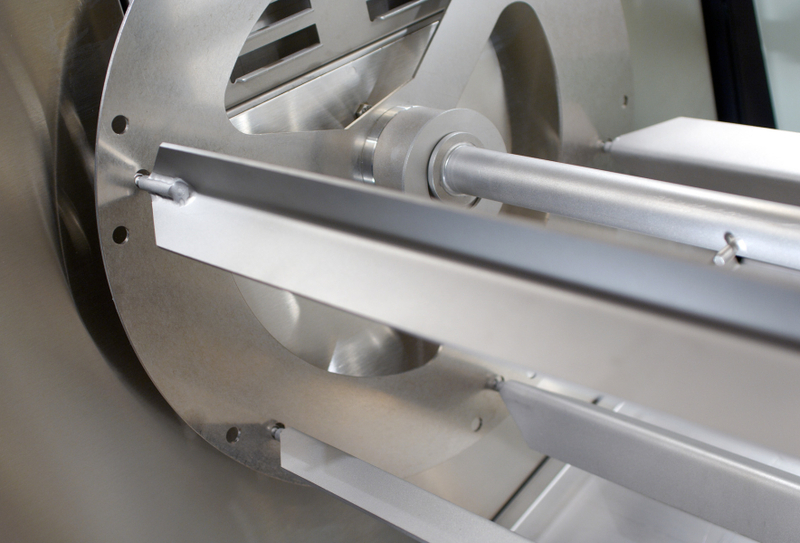 Simple programmable controls, easy disassembly and productivity-enhancing accessories make Henny Penny the one to turn to for a reliable and profitable rotisserie operation. 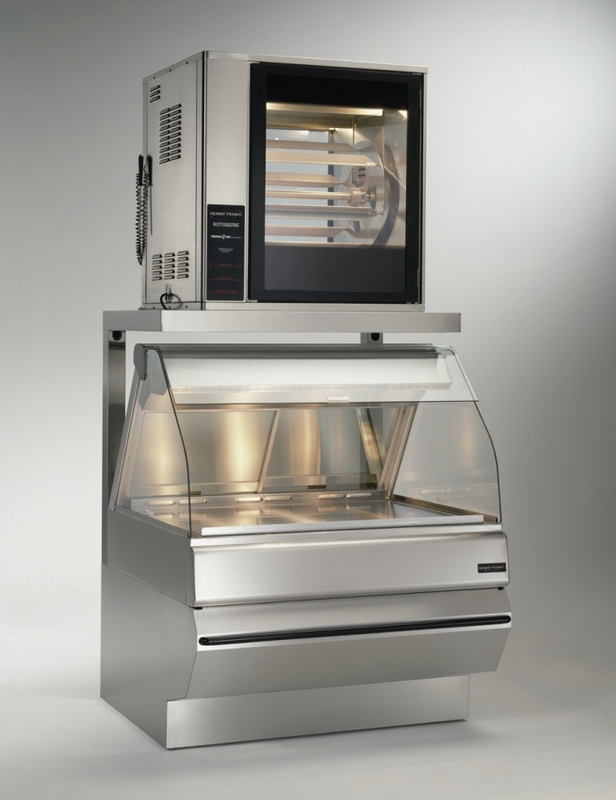 Countertop models can be stacked for twice the cooking capacity from the same footprint. 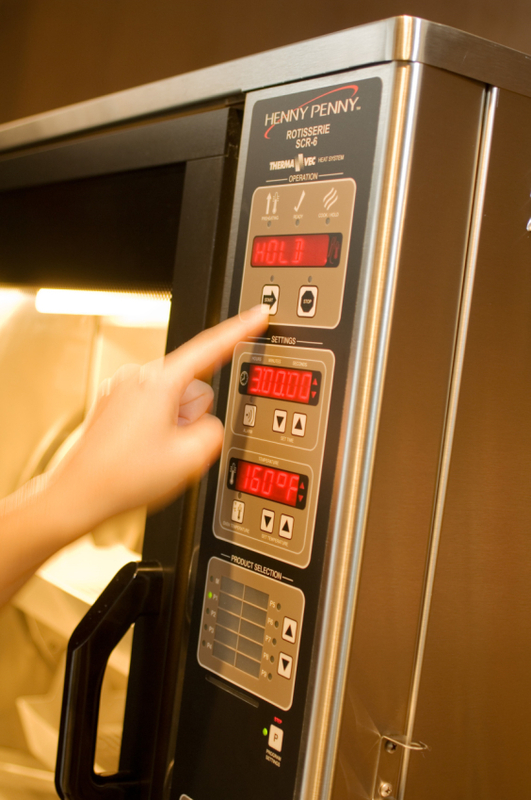 Each cabinet remains a separately operated rotisserie. Stacked units are available with casters or leveling legs.